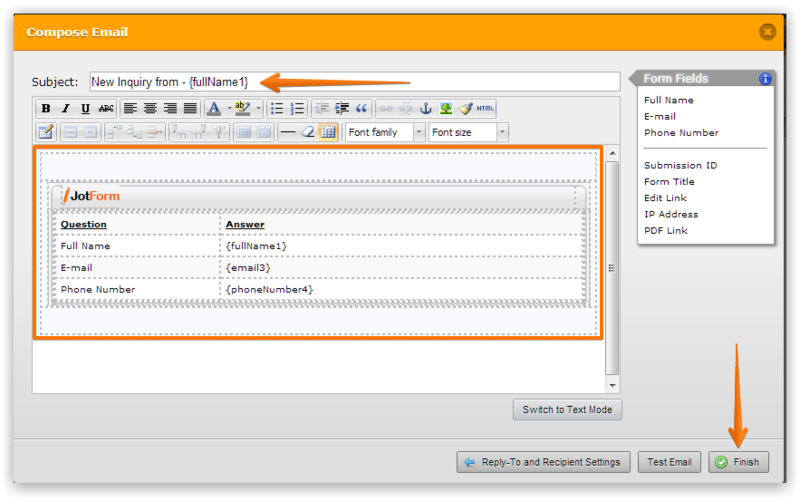 How do I make sure that submissions from my forms go to a specific email address with copies saved in My Jotform? 4. Select "Notification Email" option & click next. 5. Select/choose fields for the "Sender Details" and fill out the "Recipient E-mail" with an appropriate email address. Click next. 6. 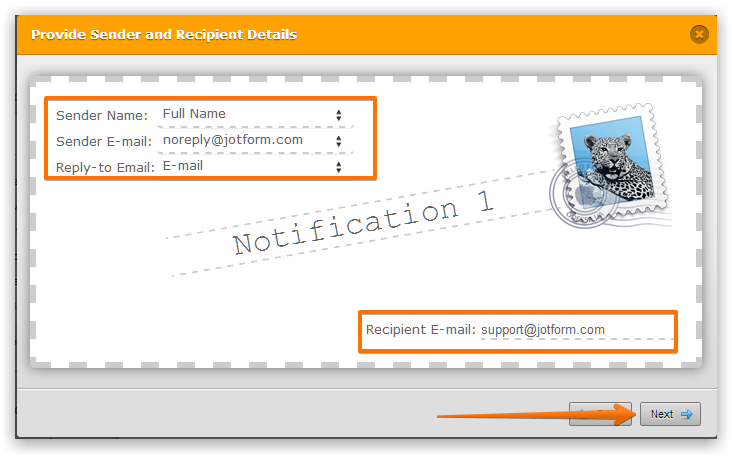 Put in your form notification subject line, complete your notification layout and click Finish. You're done. Please note that your submissions will be saved/stored in your Jotform account, you can find them in the Submissions page of your form. Inform us if you need further assistance with this query.